Earn $40.84 in VIP credit (4084 points)What's This? 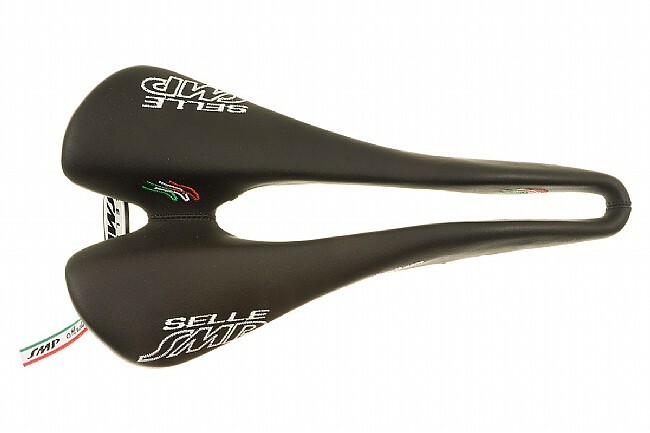 The innovative Selle SMP Glider gets even lighter thanks to the addition of Carbon rails rather than steel. The Glider features foamed elastomer padding for extra cushioning plus SMP's signature wide cut-away and dropped nose to relieve pressure to soft tissues and promote blood circulation. 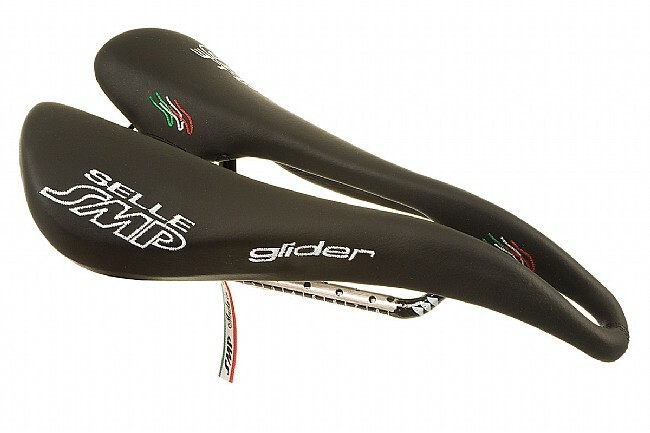 Designed to be comfortable in all riding positions. Carbon fiber infused nylon-12 shell and full carbon rails lower the weight even more with great vibration dampening qualities. Nap Leather cover. Foamed Elastomer Padding. 273mm x 137mm. 210 grams. Black. Made in Italy.